Advertisement Wall and install a wooden billboard. The main idea behind this controversial move is to recreate an authentic scene of the rocks as it was back in the age of steam. The "Spa Valley Railway" project (The Age of Steam) is financially supporting the project with a traditional hand painted billboard being put in place by the end of the summer. This will mean that this area of High Rocks will be closed while this work is being carried out for a few weeks. 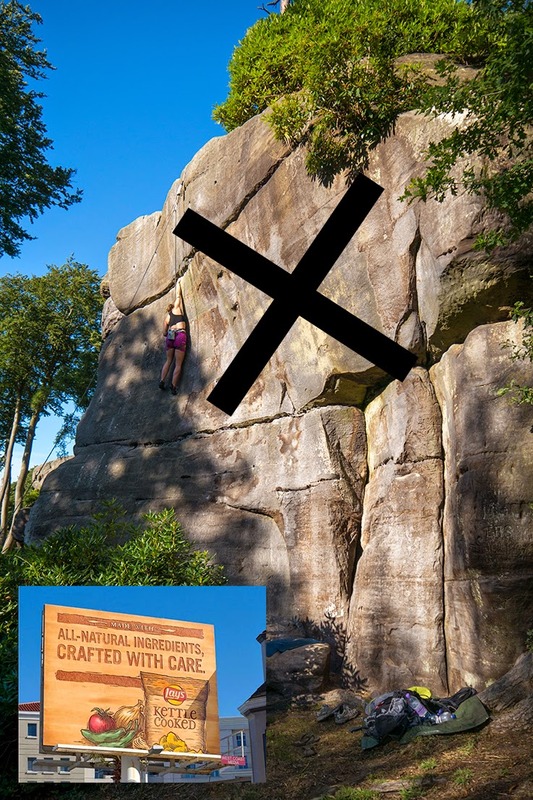 Understandably there has been public outcry from climbers and lovers of the rocks, as this would potentially damage the rocks and remove / destroy the well-known three star lines - Advertisement Wall and Engagement Wall. The local council are aware and there is currently a petition to stop the installation that can be found here.